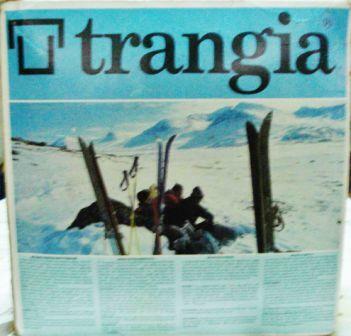 Do you have photo's of your Trangia that you would like to put on the photo gallery, this is the place to do it, its so easy to do . 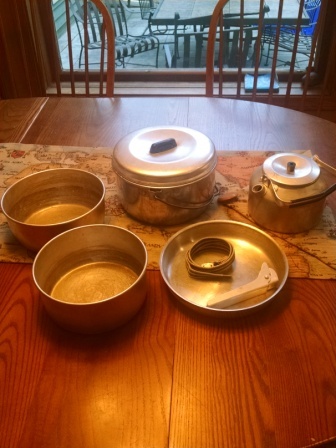 Thanks to Miodrag from Serbia for sending in these photos of a superb condition stainless steel Trangia, lots of nice detailed pictures to look at here! 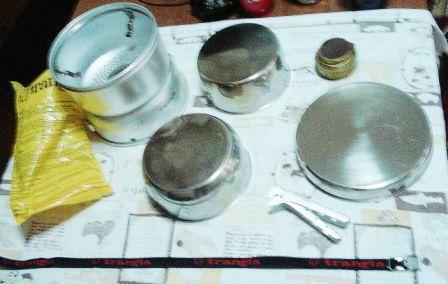 the last picture of the box shows which model/material the Trangia is, and it does actually say "stainless steel" and not Duossal. 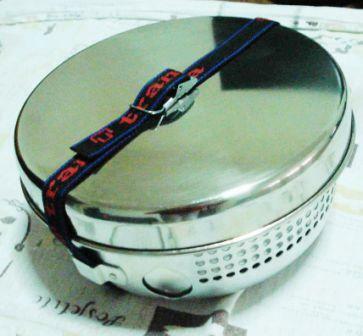 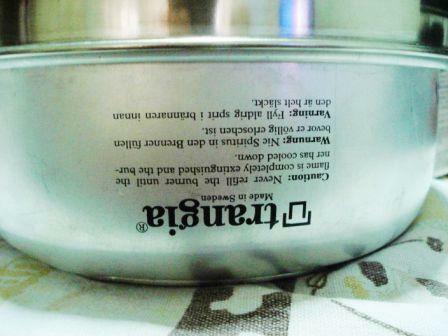 I received a recent message form Miodrag stating he had contacted Trangia and they had confirmed that they did supply stainless steel pots for a short time between 1990-1995 , the stainless steel pots were not made in the Swedish factory but made in China. 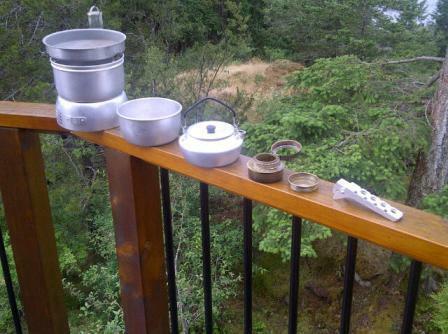 Many thanks to Ken from Canada, for sending in the latest photo of the new Trangia pot adapter. 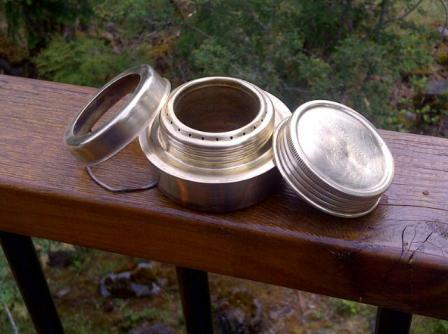 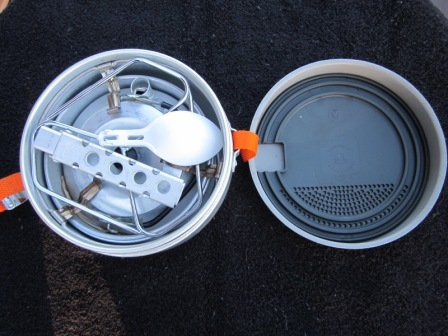 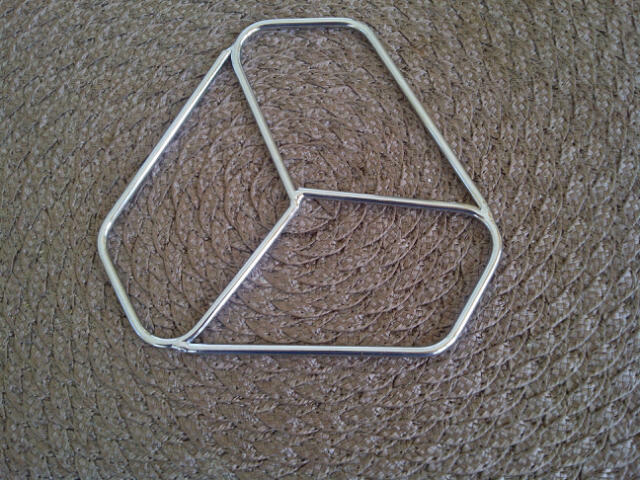 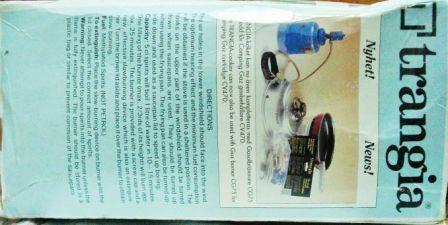 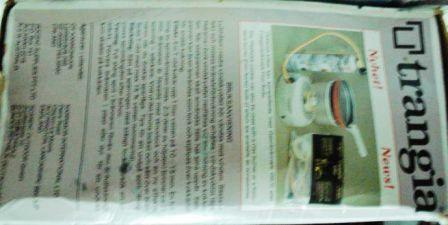 Ken said; Here is a picture of Trangia's new pot adapter for its Storm Cookers. 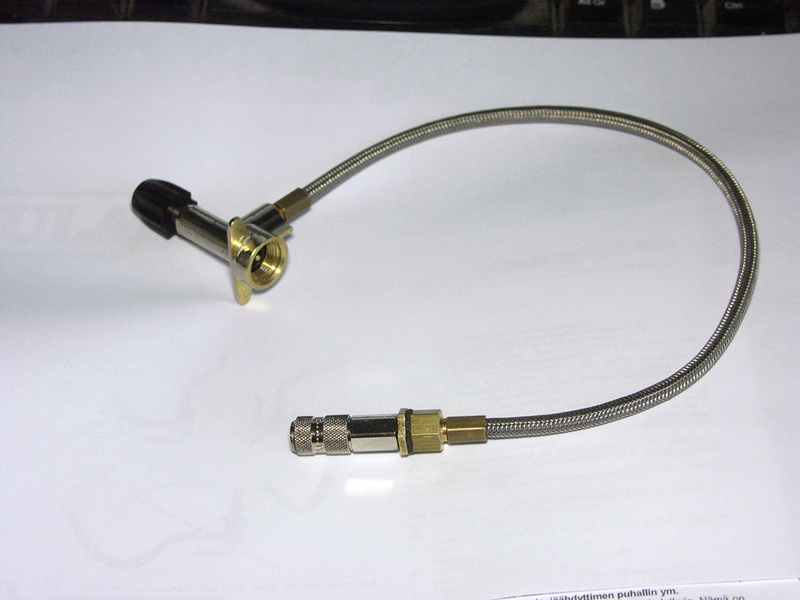 It works on both the T27 and T25 units allowing one to use pots with smaller bases. 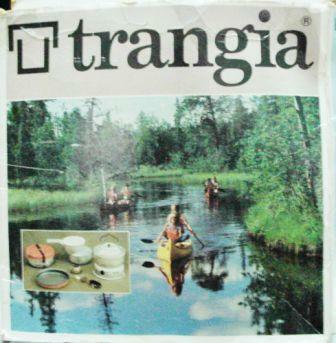 It is not yet on the Trangia website. 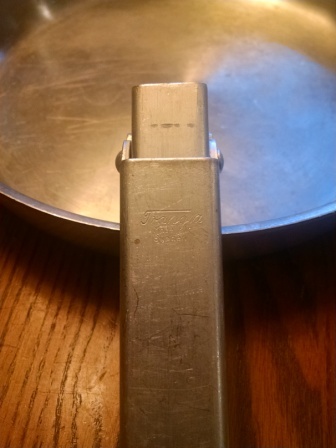 It sells here in Canada for $12.50. 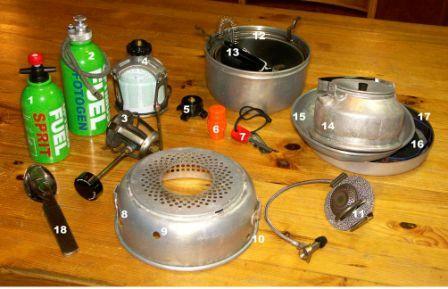 Thanks to Alan from the USA for sending in these 3 photos of his 1960s Trangia camping set. 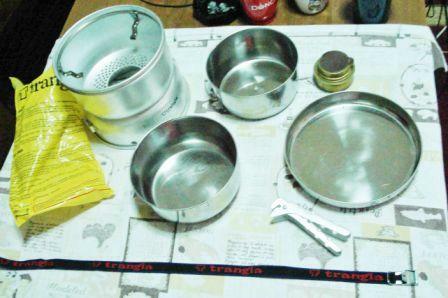 The first photo shows the packed camping set with original 1960s strap, another sure sign that this is a 1960 model is the Trangia logo on the pot grips, also notice the 1960s pot grips never had holes along the handle unlike the modern version. 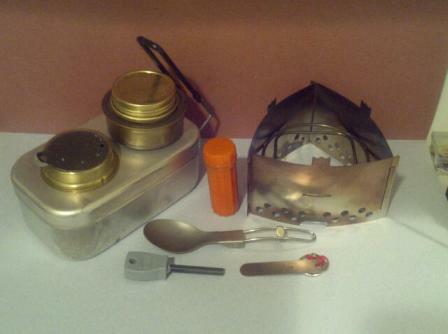 Trangia bug-out kit. 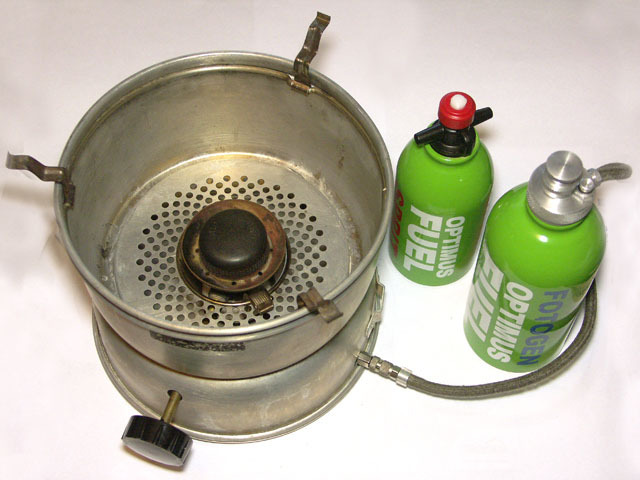 with mess tin, burner, and Trangia triangle. 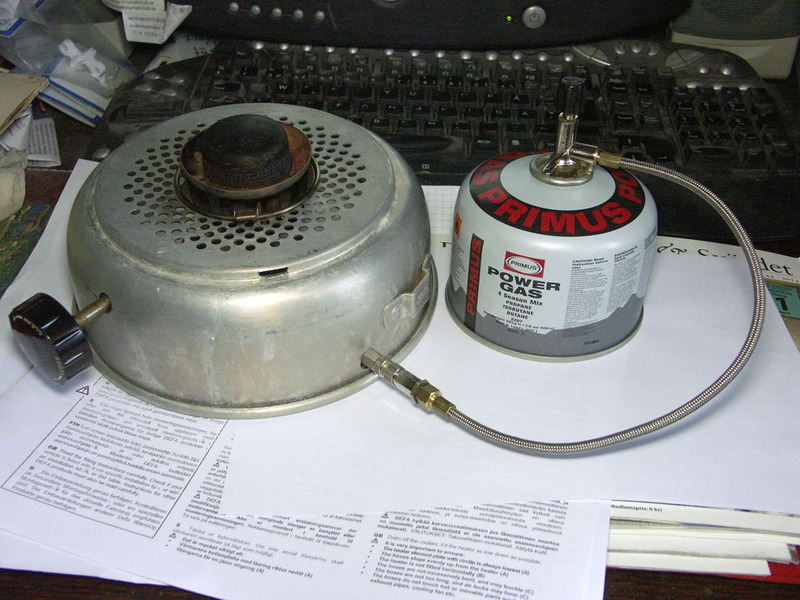 Nice clean example of a 1970s Trangia burner. 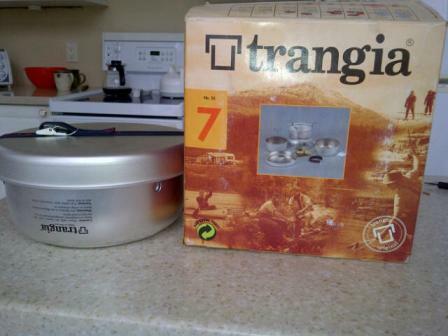 Trangia 25-7, mint condition with original 1997 box. 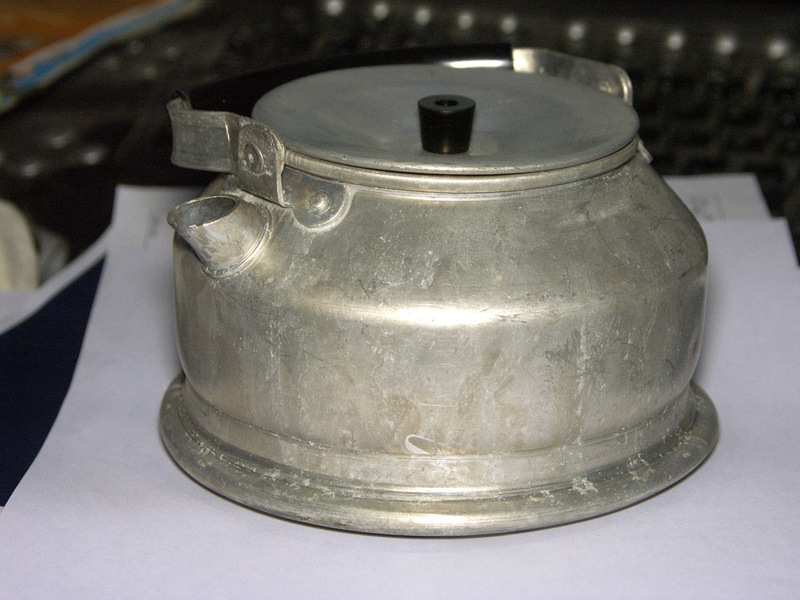 A very nice 1970's Trangia storm cooker with kettle. 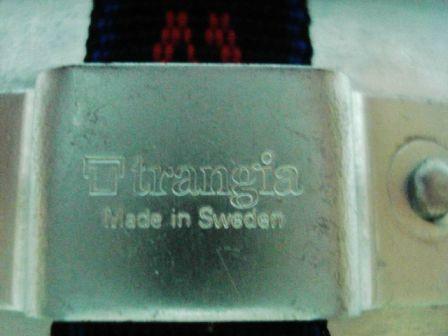 I thought I would send along another picture of the 70's era burner I have - showing both the earlier version simmer ring, screw cap (all in Swedish) and the "T" shaped Trangia logo. 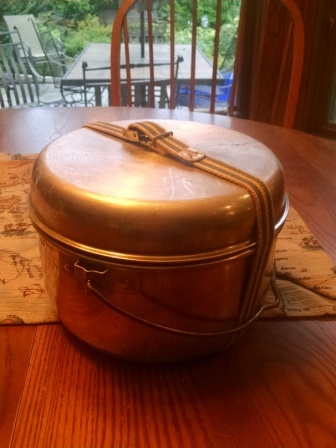 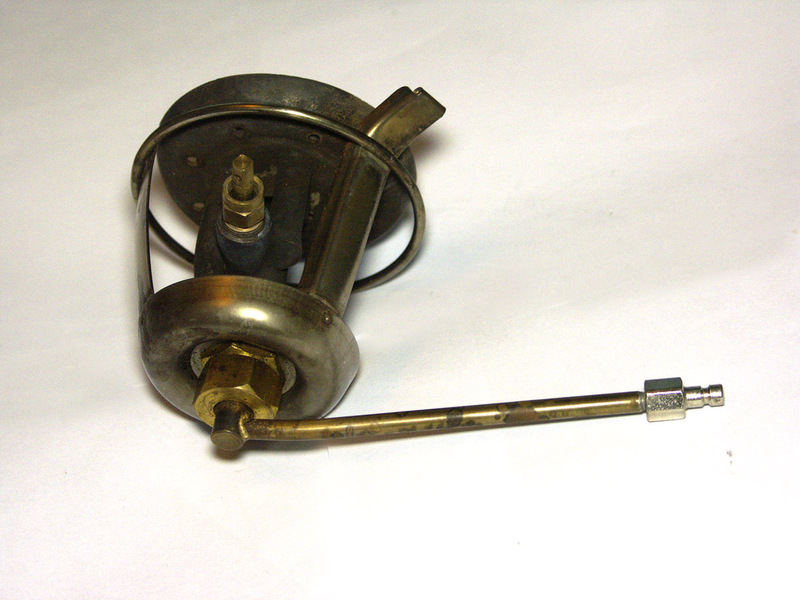 The brass is in far better condition than the picture indicates.